Lucia Salters started a new discussion PDF file won't open in published version in browser or Tempshare. "Hi all I've tried with new docs and PDF's, locally, in Dropbox and Tempshare - but I get the following error (attached) when trying to o..."
Lucia Salters replied to the discussion EXIT Course trigger not working in project for web. "The variable is being passed to Sharepoint where the course is hosted. That works - but they cannot exit the course!" "Have uploaded to Dropbox and running it from there I've tried the options in that link you supplied - no luck. Could it be on the clie..."
Lucia Salters started a new discussion EXIT Course trigger not working in project for web. "I am testing in a web environment. Nothing happens when I click the Exit feature button. Client needs a variable passed when the user exi..."
"My course is published for LMS and is being run in Sharepoint. We are getting this error on the Exit button, which we need, as it passes ..."
"here we go... Regards, Lucia Salters"
"It says I an not authorized to access the page ??" "how do i remove myself from this thread?" 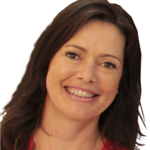 Lucia Salters replied to the discussion Does anyone have experience with SAP LMS? "I'm having the same issues with a client and SAP now. It looks like Storyline is not compatible with SAP. My client now faces a big prob..."
"How could it be incorrect?" "hi I published a SL2 course to CD. It works on my laptop but when client install / runs it on his PC, he gets this screen and goes no fu..."
"Have done so Regards, Lucia Salters"
"Tried that - no luck"
"Yes. Thanks. My problem is that it's not showing "complete" at the end of the course"
"Thanks. I get pass/fail but not 'complete'"
"All sorted - thanks Regards, Lucia Salters"
"Thanks but the layers are not invisible. Just gone." "Please keep me posted on the status of this problem - as I have some very confused (and annoyed) users trying to replay videos. For now, ..."
"I'm having same problem . . ."
"Thanks, I'm actually having fun building my own now from going through all the courses I've done." "Hi All A potential client needs a little Storyline demo. Before I whip one up from scratch, I was just wondering if there is alreadyone ..."